The OER conference is now in its 6th year and continues to be organised as a community event by stakeholders interested in the progression of OER. This year the host city was Cardiff, a seemingly perfect fit due to the recent Open Education Wales policy. There is no doubt that there a buzzing community interested in OER in the UK and beyond exists, but is this still the same players who saw the potential of OER many moons ago, or have things moved on? 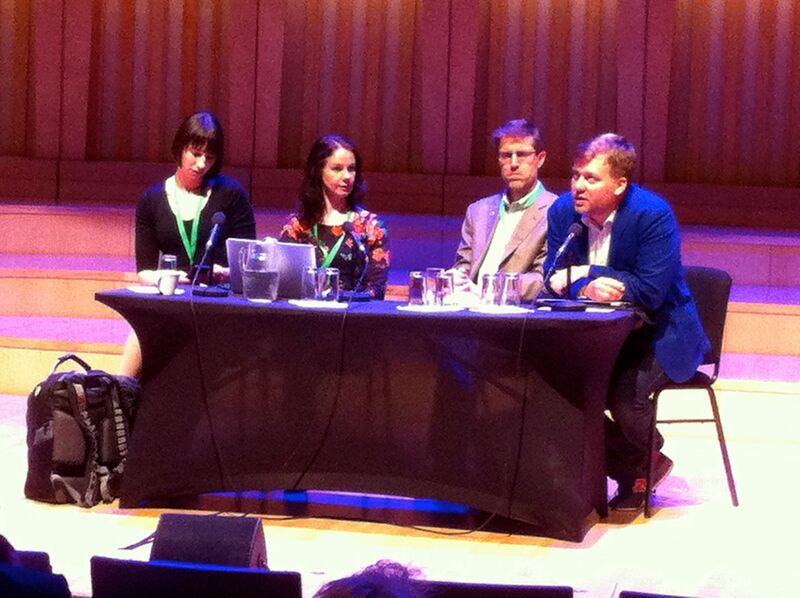 Has OER moved into the mainstream and are Open Practitioners becoming the norm? Video showing highlights from the event Produced by the CADARN Learning Portal in cooperation with OER15. There were over 100 sessions so it was incredibly hard to know what to focus on but here are some of the themes that emerged for me. With over 27 million buttons (licenses) created per day Creative Commons have officially made it, but to some extent openness is now a victim of its own success. Cable Green, Director of Global Learning at Creative Commons, gave an opening plenary in which he called out those who are using the term open content when not adhering to the 5 Rs – reuse, revise, remix, redistribute, retain. Cable explained that we should not tolerate ‘rented content’ in education and that currently the way we spend money on public education is immoral and unethical – all publicly funded educational resources should be open. In the US the cost of textbooks and the implications of this on students has really driven the open movement. Creative Commons would like to see a world where all textbooks are online and can be printed out, resulting in the saved money being spent on teachers. There is still work to be done raising awareness by faculty but projects including z-degree (entire degree programme is OER) have made progress. Alongside open textbook work Creative Commons have been carrying out extensive policy activity (see the Open Policy Network and the Institute for open leadership) advocating for public funding bodies to set the default when giving money to open i.e. an open licence requirement – all publicly funded resources should be CC0 licence with no embargo period. Cable highlighted new work which involves shifting our learning to solving global grand challenges – water shortages; environmental issues; complex problems, and also a look forward to how open data fits in the space. Cable concluded by highlighting work they are doing to see what market penetration looks like for OER. Add your insights to the Google doc. When it comes to policy one interesting observation was made during the policy panel session by Alek Tarkowski of Centrum Cyfrowe Poland– he pointed out that we often squirrel away in the background working on openness feeling like nothing will change, and then suddenly policy catches up. The work you have been doing becomes relevant. Change is both very slow and then very quick – you need to be ready. One of the stars of the event was Sheila MacNeil, with her thoughtful and conversational look at what it means to be an open practitioner while working in the mainstream (away from research projects.) As a Senior Lecturer in Blended Learning at Glasgow Caledonian University Sheila MacNeil is now as ‘middle of mainstream’ as you can get (by mainstream we are here referring to the “generally, the common thought of the majority”). She is the target area (teaching academics) that OER advocates are trying to reach. Sheila explained that despite her personal beliefs open is a balancing act (take her slide presentation tool of choice Haiku deck – she uses it because it’s intuitive and easily cites Creative Commons images). If you are a one-policy pony who bangs on about openness without practical benefits then you are likely to annoy people. Sheila warned us that we should be of little doubt that there are trade-offs in mainstream education, and at times the means justifies the end. Sheila stands by the belief what while content is king, context is majesty and we need to spot inroads to allow us to get open in a conversation, she shared examples from the GCUgames and AltC. At the last AltC elearning practitioners were asked about their priorities, while openness was not one of the top drivers it was seen as being of increasing importance. Often it is about leveraging opportunities and being pragmatic in your approach. Sheila reminded us that most of those who work in the mainstream don’t have the luxury of time and resources to develop Open Educational Practices. As a practitioner your arguments may often fall on deaf ears and often you don’t have the energy to fight, so you need to chose your battles wisely. She concluded with her ‘Haha moment’ and a well-executed gardening metaphor. Haha is a device used by landscape gardeners to help create and maintain views/vistas of usually very large gardens – they allow a “them and us” approach by keeping the cattle out of the garden. So Sheila pointed out that open is often far from free. While some can tend their garden and assume the costs, others can’t. However openness shouldn’t be for only those who can afford it. While one approach is the country estate the other approach is guerrilla gardening. Anyone can be a small grassroots guerrilla gardener and do openness in a windowbox. Yet while openness often works there is also a need for walled gardens – spaces in which to develop open practice and reflection. See Sheila’s blog post for further details. Reflecting on her own experiences implementing OER policy among schools in Leicester Josie Fraser proclaimed that if the mainstream is the Internet then we are already part of it. However we need to consider the digital divide and recognise and challenge privilege. A recent excellent post from Audrey Watters on Ed-Tech’s Inequalities came to mind. Josie used the example of the eternal September which recognises the never ending stream of new users coming to Internet to get us to think about what skills these new users need? Digital literacy, yes, but what about critical and radical literacy skills? There is also the idea that digital literacies are situated: dependent on role, location, etc. Josie’s work with those working in the schools sector has begun to bridge this divide. Schools have a culture of sharing and and progress is being made. But to take a statement made elsewhere at OER15 – Fighting the open ‘battle’ is tough when the mainstream doesn’t even know a battle is raging. This blog has covered the OER Schools work in more detail: see the OER Schools Conference report, Teaching Children about Creative Commons Licenses and Teachers, Schools and Technology. Also recommended this post by Alec Couros and Katia Hildebrandt on Developing Teacher Candidates in a Networked World. In her keynote Sheila MacNeil pointed out that we need to start recognising that we, as individuals, are effectively open educational resources on behalf of our institutions and organisations. She then made a call for more people should identify themselves publicly as Open Education Practitioners. One approach here is through Open Professional Development, or as Tony Hirst puts it “learning in public”. Brian Lamb expands on this in his post Open Ends: “In 2015, we hear less about Open Educational Resources as a goal, and more about supporting open educational practice.” Chrissi Nerantzi from Manchester Metropolitan University ran a great session on Open Professional Development concluding with the African Proverb “if you want to go fast go alone. If you want to go far go together.” Chrissi is involved with FLEX, a personal practice-based CPD scheme for new and experienced professionals who teach or support learning in HE. FLEX activities are self-selected and are organised into an academic portfolio. Over the course of the event there seemed to be many opportunities for us to reflect in a broader way on our own personal reasons for being open practitioners. (See this great Twitter thread – a need for democracy, agency and a belief in education being about sharing and a commitment to fairness seemed to be the dominant factors). What exactly does an OER practitioner look like? Are they able to reflect more on their teaching processes? Who are the allies of open? Is it the Elearning team at institutions, educational technologists who like to try new ideas, librarians, IT services? Or are there factions within those groups? I particularly enjoyed the session led by Brian Lamb from Thompson Rivers University in which he pointed out that while we are busy reclaiming the open web (see the 2012 Web We Lost post by Anil Dash), educational technologists are failing to en-ramp people who are new to the space. These people often end up using their complicated VLE when there are better ways. Brian suggested some approaches in making life easier for those who want to be part of the open movement – see his session blog for full details. Some of the suggestions include: Domain of ones own – providing Web space to members of the University of Mary Washington community that encourage individuals to explore the creation and development of their digital identities; Digital Storytelling (also known as DS106) – an open, online course from the University of Mary Washington developed by Alan Levine, more than a course, a way of life (see this Educause article); OERuniversitas and Splot (Smallest/Simplest Possible/Portable Open/Online Learning/Living Tool/Technology -how great to have a tool with a continually changing acronym!). Splot makes it as easy as possible to post activity to the open web in an appealing and accessible way and it allows users to do so without creating accounts, or providing any required personal information. Lamb pointed out that negative criticism can kill collaboration and that the onus is on us to teach the participatory literacies needed to operate openly. Lets make the open web experience as easy as possible! Talking of beginners I think the OER review Project and OER Mythbusting, both highlighted at OER15, are great places to start. In the UK Open Access is much further down the mainstream path than OER. We’ve had the 2012 Finch report calling for gold OA over green OA, followed by the RCUK and HEFCE policies. The HEFCE policy states that certain research outputs should be made open-access to be eligible for submission to the post-2014 Research Excellence Framework (REF). This requirement will apply to journal articles and conference proceedings accepted for publication after 1 April 2016. The question is has OA distracted people away from OER and is there a tension there? Or does the high profile push for open access mean OER can piggy back on the momentum? 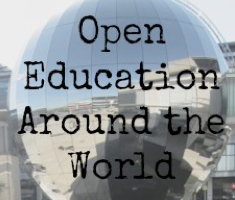 Has it prompted conversations about Open Education? Is it a route in? Nick Sheppard and Kirsty are witnessing increasing dissonance. In their session on the more things change: synergy and dissonance in Open Access (OA) and Open Education (OE) they explored synergies and dissonance with OE in the contexts of infrastructure, policy and licensing. They argued that to avoid continued commercial exploitation, the fostering of partnerships across the academy is crucial to mainstreaming Open Education. At Leeds Beckett University one approach being explored is a Jorum Window, a branded institutional interface on Jorum. This approach has been taken at Leeds University led by Antonio M. Arboleda. Also while they still support OER through core content subject pages the OER repository is being merged into their repository. They are also using Lib guides to deliver content causing academic staff getting in touch to ask why their work hasn’t been highlighted, which gives the librarians an opportunity to remind them to self-archive. Vivienne Rolfe, University of the West of England, and David Kernohan, Jisc, spent some time looking at models for measuring the cost benefits of OER using both the textbook argument used in the US and the loss of tacit knowledge and physical lesson plans argument. They came up with a figure of 40 thousand pounds costs for each academic not taking materials with them when they move jobs. 64.62 FTE fully costed academic roles would be saved across the whole institution if OE was mandated. They’ve shown their workings here and are after comments. One alternate argument raised was that of technical debt: the debt caused from the moment a system is not well built or is poorly made i.e the cost of going back and fixing that stuff. This could be applied to the cost of incorrect licensing. The agreed plan (eloquently put by Terry McAndre) that we should identify immoralities and then make the moral case, this will bring more people on board. 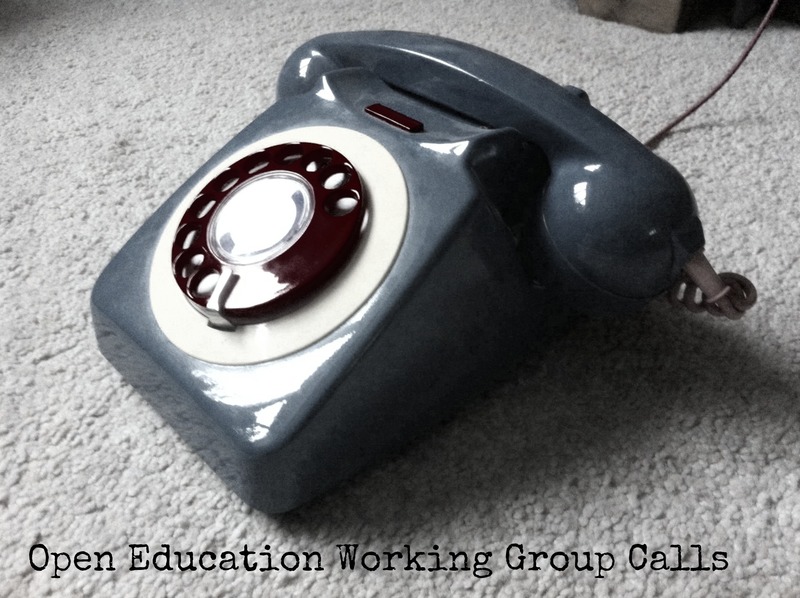 Open Education in the 1990s: Revisiting the History of the Open Education Movement was delivered by Valerie Irvine (via a 4am Skype call) and Rich McCue from the University of Victoria. They looked at the early days of the open education movement, particularly around early OER years ( there is a lack of specific scholarly mention of open educational resources (OER) prior to 1994). There is a real danger that if we don’t step in and record this history then it might be lost. Through their research Valerie Irvine, Janet Symmons, and Rich McCuehave been looking for pioneers of openness and curating crowd sourced digital stories about and for the early visionaries of open education. With some of these people there is not even an awareness that they were involved in a movement per se. They took a snowball sampling approach through volunteer interviewees. The work has been very much a labour of love and the video will be released by CC BY 4.0. 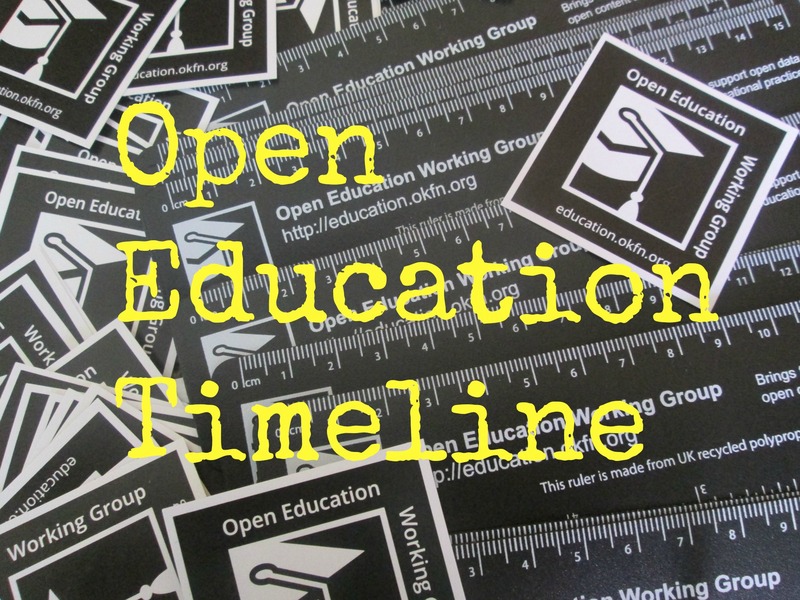 Here I need to pimp our Open Education Working Group’s Open Education Timeline! In his closing keynote Martin Weller talked about the Battle for Openness, not just a metaphor but the title of his excellent book. Martin gave a potted history of openness in education: that it began to be seen a public good > followed by resistance and issues related to unworkability and low quality > the OERs vs MOOCs battle that led to an explosion of interest “Irresistible MOOC media attention” > the ‘Education is broken’ fact/idea > the avalanche report and disruption idea [it’s all about newcomers (people in sector have no value)]. Unfortunately the battle for openness is littered with false dichotomies and hype. One way to rise above this is to think about why openness really matters and what it can it do for us. Openness is not a stick to beat people with (open Stalinism) and sometimes closed is the most appropriate answer. 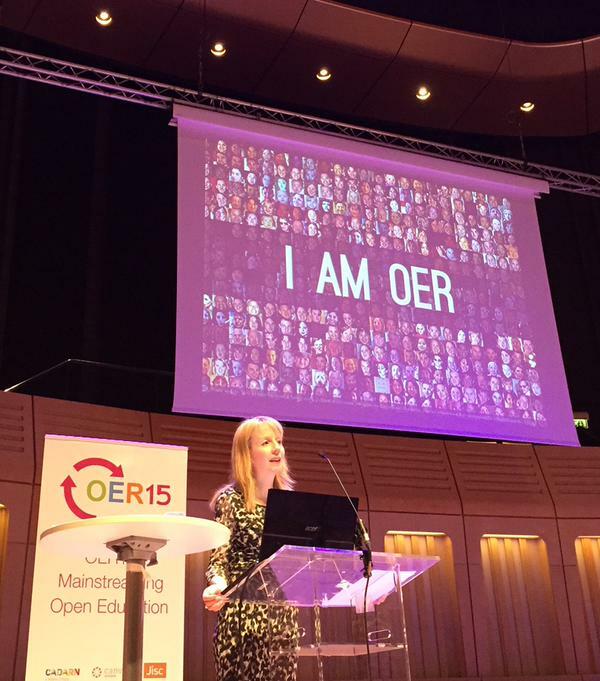 The theme for OER16 will be Open Content and it will be held in Edinburgh. Thanks to all the organisers of OER15. 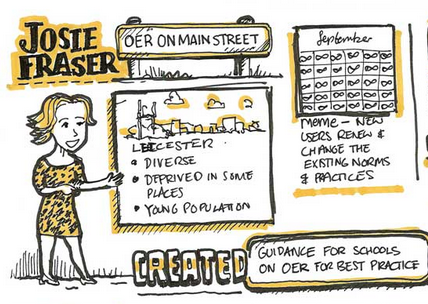 More details about sessions can be found on the main website and using the twitter hashtag #oer15. The streamed videos are available in a playlist. Open sketch notes for the sessions by Kevin Mears are also available. The Open Education Working Group exhibited a poster on the Open Education Handbook. 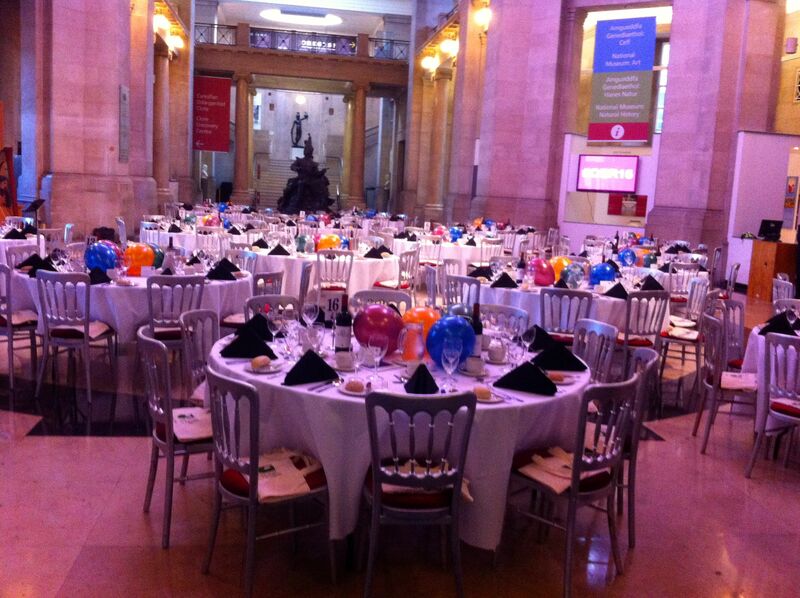 The setting for the conference dinner….I won’t mention the Karaoke! Thanks for this excellent summarily of the conference Marieke, and for you kind words about my keynote. Was lovely t see you if only briefly too. Thank you for the summary of the conference. I enjoyed reading it. Hi Marieke – thanks for a great write up! Thanks Nick – have changed this in the text! Marieke Guy is co-ordinator of the Open Education Working Group. She currently works on the PASTEUR4OA Project and Europeana Space. Binds together people to promote open data, open educational resources (OER) and open educational practices. The content of this site is licensed under a Creative Commons Attribution 3.0 License (all jurisdictions).